Caitlin Brady graduated from Clemson in 2014, where she earned a Bachelors of Science degree in Wildlife and Fisheries Biology. 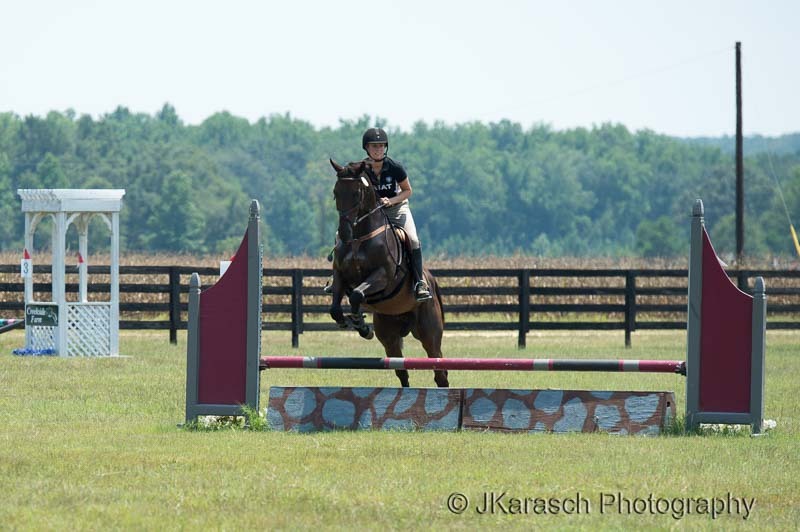 Her education and longtime love for horses lead her to a position as a jumper groom at Evergreen Farms in Aiken, SC. 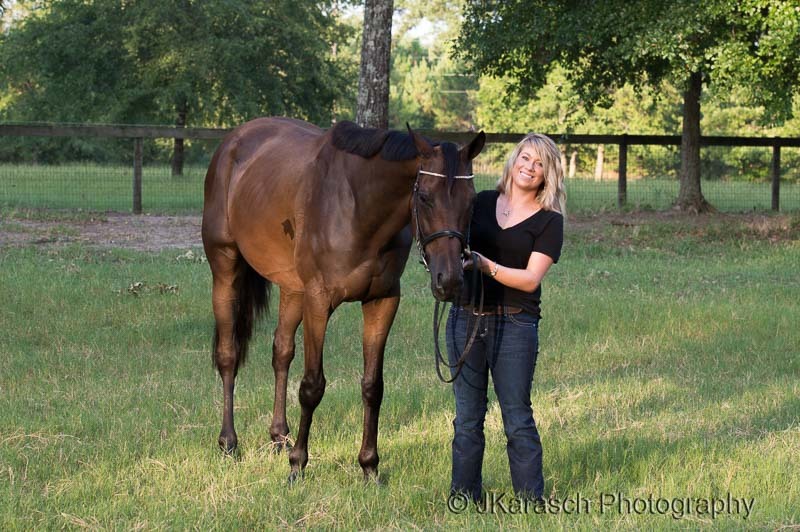 Caitlin contacted me in July, 2015 to talk about her endeavor to retrain an adopted Thoroughbred racehorse. Her personality and enthusiasm were captivating, and she had a compelling story. In keeping with my desire to give back to the community, I will be photographing their journey on a voluntary basis. 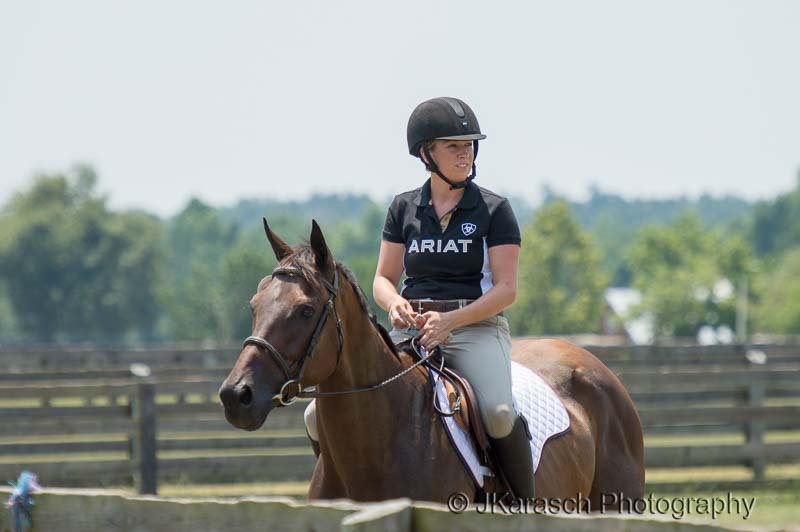 In 2016, Caitlin landed a dream job at the Aiken Training Track, where she still works. Who wouldn’t want that job? 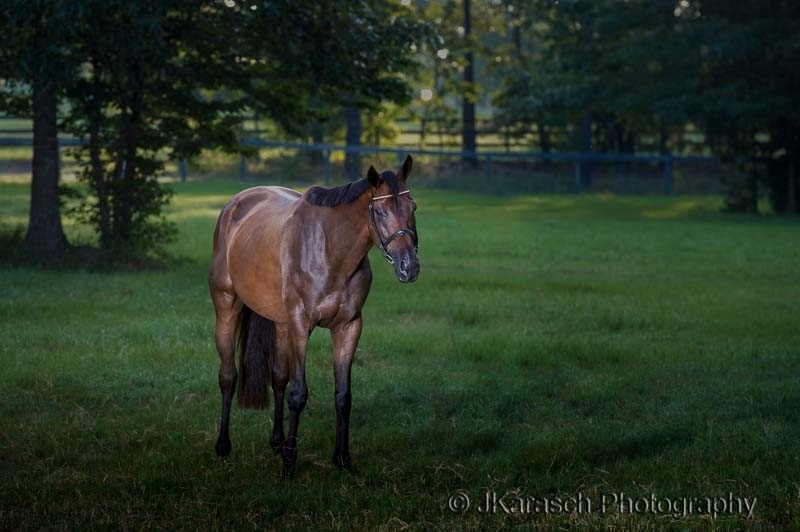 Azorian is a thoroughbred that wasn’t built quite well enough to succeed at racing. 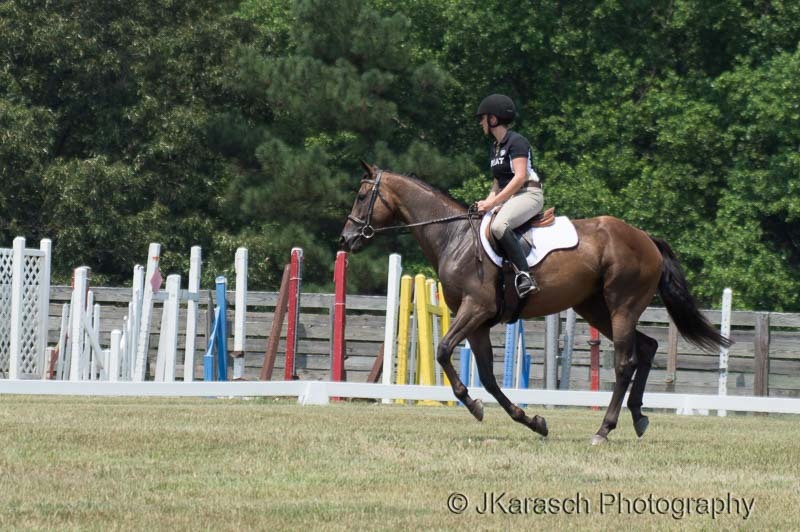 Following a lackluster career on the racetrack, Azorian was made available for adoption through the New Vocations Racehorse Adoption Program. 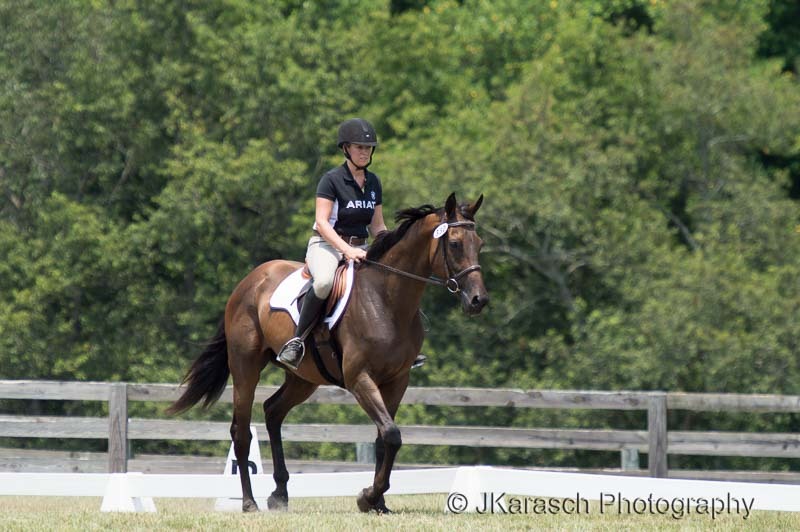 Once Caitlin met Azorian, she was all in! 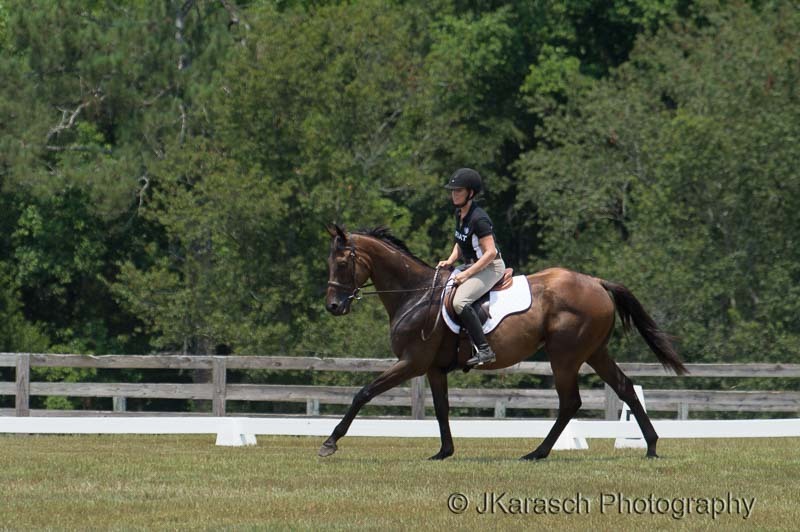 Based on prior experience, Caitlin knew that thoroughbreds could be re-purposed for dressage and show jumping. It’s hard work, and Azorian was in need of considerable TLC to regain muscle tone and weight. 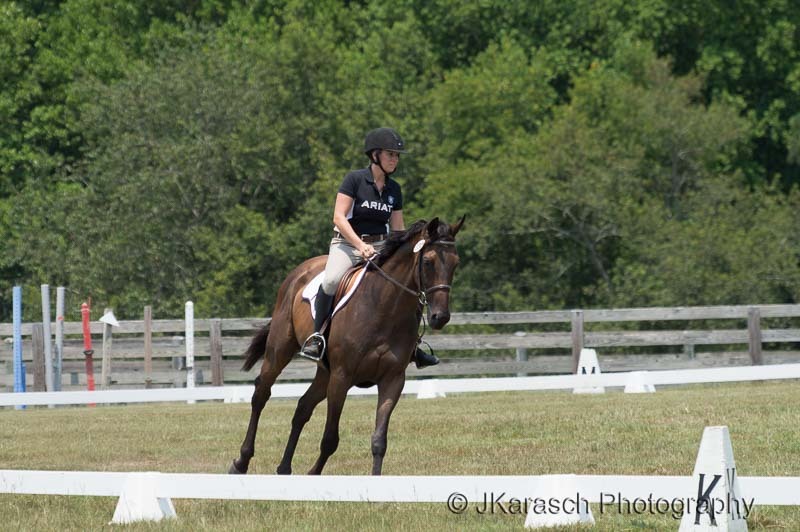 Even so, Caitlin was determined to turn Azorian into a successful competitor. 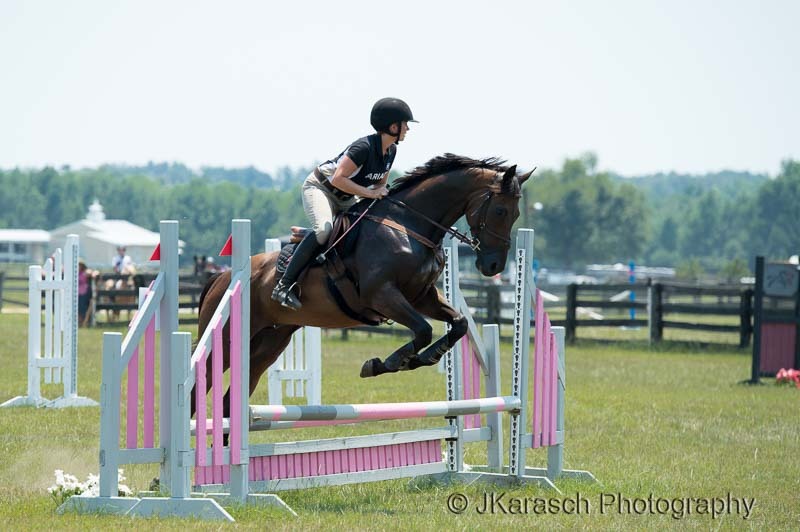 Her ultimate goal was to be a winner at the Retired Racehorse Project Thoroughbred Makeover competition in October, 2015. 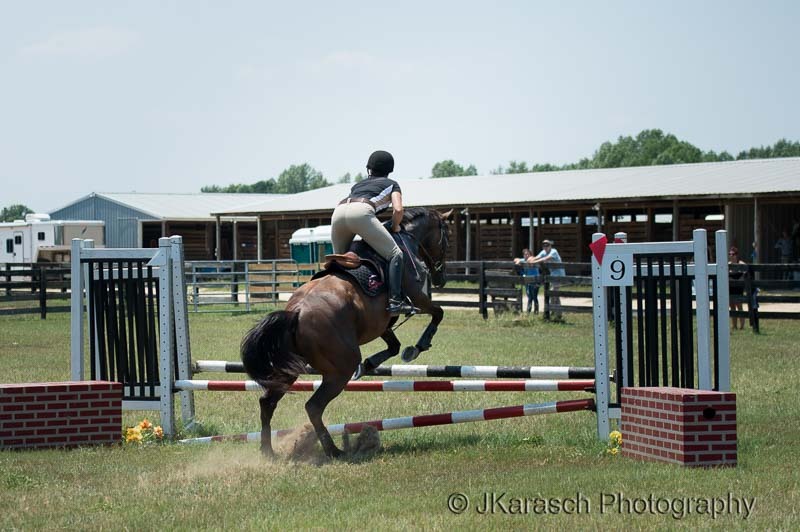 They were able to compete, and although they didn’t win, Caitlin gained a lot of experience while competing at a higher level. 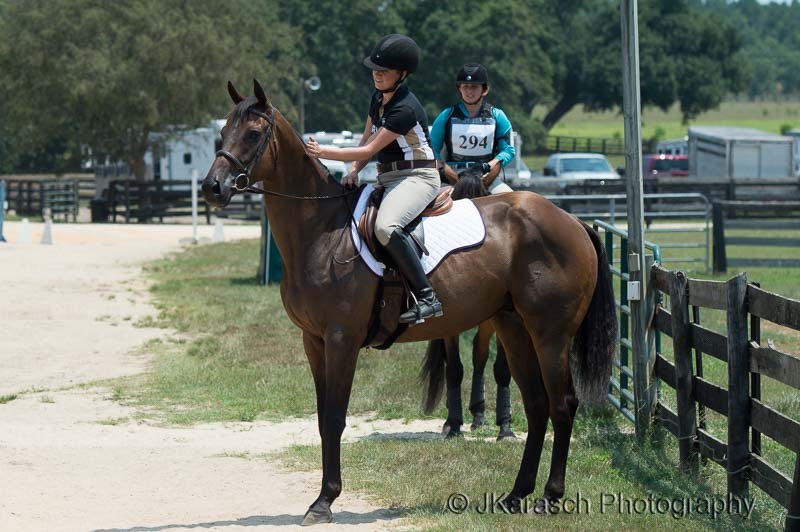 Caitlin will continue to blog her progress on the Horse Nation website. Her first article titled “Fairy Tale Ending: Meet Azorian” has already been posted. Her activities can also be followed on her Facebook page. 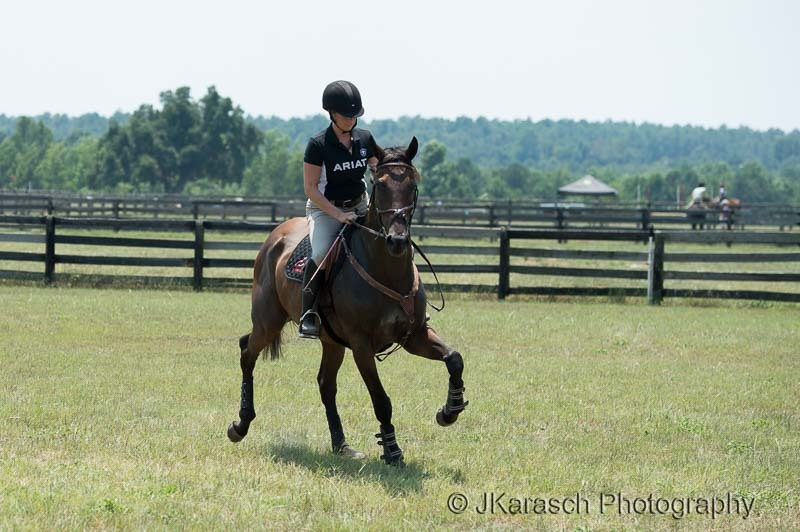 The following photo’s were captured in July, 2015, when Azorian competed at Full Gallop Farms.